TLC provides the finest wedding cuisine in Manchester, and beyond! The skill of TLC’s wedding planners extends into the quality menus and detailed presentations provided by their recommended caterers. To create a bespoke menu for your wedding day, TLC will choose only the finest wedding catering available to meet your specific and exacting requirements. The proof of the pudding is in the eating, so call TLC’s team of wedding planners in Manchester to discuss your wedding catering needs on 0161 876 6266. TLC has been creating memorable weddings and glamorous wedding receptions for over 20 years, using the best wedding venues, entertainers and a team of experienced wedding organisers to plan weddings that are individual and unique. Leading the field of wedding planners in Manchester and London, TLC has a enviable track record of designing and organising weddings that seamlessly fuse the creativity, quality and the excellent event management that our discerning clients demand. Discreet and Meticulous in our planning, ambitious in our creativity and jaw dropping in our wedding production. TLC delivers the best big day! TLC boasts the most exciting, innovative and talented entertainers available. Extensive global research goes into a compilation of exclusive and unique artists to suit any budget. From bands, international artists, eclectic contemporary musicians, a children’s entertainer or a pulse beating continental DJ, the wedding planners at TLC will find exactly what you need. The wedding of your dreams with entertainment everyone will remember – that’s a show stopping combination. From the moment the doors open TLC’s wedding planners works with a team of professionally trained lighting technicians to design and present a lighting display that will make the wedding guests gasp! Whatever your needs, TLC’s team of wedding planners in Manchester and London will create a lighting scheme to add atmosphere, intimacy, vibrancy and spectacular drama with the very best lighting, pyrotechnics and fireworks extravaganzas. 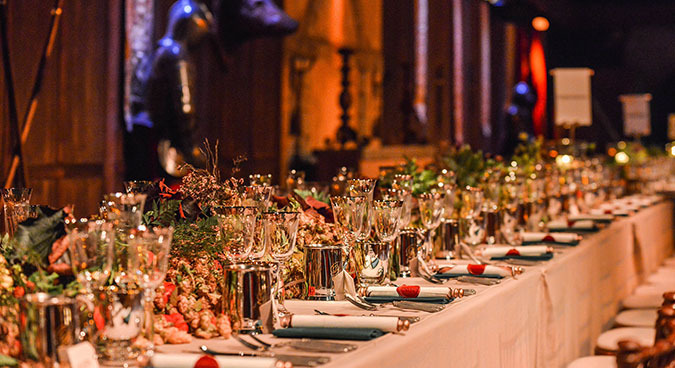 Stately homes, Venetian palaces, country estates, cathedrals, luxury hotels and private residencies, TLC’s wedding planners have worked with them ALL to plan the most spectacular wedding events around the world. Working with the best global venues, TLC’s wedding planners will source the most unique, romantic and innovative venues to meet your specific and exacting needs. Let us find your dream venue today. TLC has been creating memorable weddings and glamorous wedding receptions for over 20 years, turning fantasy into reality with their vision and flair. Surrounded by the best wedding entertainers, florists, technicians, designers and a team of experienced wedding planners a TLC wedding is individual and unique. Leading the field of wedding planners in Manchester and London, TLC has an enviable track record of designing and organising weddings that seamlessly fuse the creativity, quality and the excellent event management that our discerning clients demand.